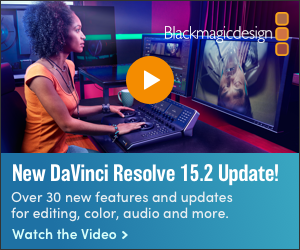 [ #Fusion #BlackmagicDesign ] Blackmagic Design announced a free Fusion 8.1 update that adds Fusion Connect for Avid as well as compatibility with the latest Avid Artist DNxIO video interface. The Fusion 8.1 update is available now for both Fusion 8 and Fusion Studio customers, and can be downloaded from the Blackmagic Design website. Fusion Connect for Avid lets editors work on their own visual effects and motion graphics or, when they’re on shared storage, they can collaborate with a team of artists on the network. Shots can be sent from the timeline using Fusion Connect for Avid and can be picked up by visual effects artists that are on the same shared storage. 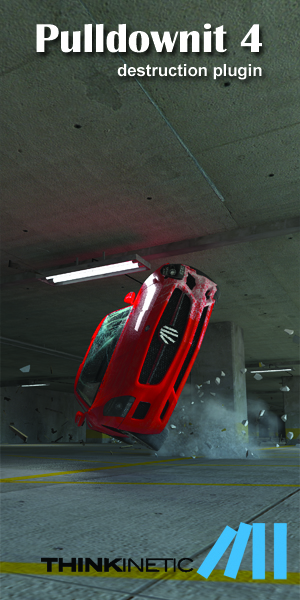 This lets editing continue while VFX shots are being worked on in tandem. The Avid Media Composer timeline will show a Fusion connect clip, which can be refreshed at any time so editors always see the most current version of the VFX shot as it is rendered. -Fusion 8 for Mac and Windows is free for customers and is now available to download from the Blackmagic Design website. Fusion 8 is a full professional 3D visual effects and compositing system that is suitable for independent effects, motion graphics, and broadcast design artists. Fusion 8 features integrated 2D and 3D compositing and motion graphics software with a massive toolset featuring paint, rotoscope, titling, animation, multiple keyers, an amazing 3D particle system, advanced keyframing, GPU acceleration, and support for importing and rendering 3D models and scenes from other applications. -Fusion 8 Studio for Mac and Windows is available now from US$995. Fusion Studio has all of the same features as the free version, but also adds advanced optical flow image analysis tools for stereoscopic 3D work, retiming and stabilization. Fusion Studio also includes support for third-party OpenFX plugins, unlimited distributed network rendering, and Generation for studio wide multi user collaboration to track, manage, review and approve shots when working with large creative teams on complex projects. Fusion 8 for Mac OS X and Windows is available now for free download from the Blackmagic Design website. Fusion 8 Studio for Mac OS X and Windows is available for US $995 from Blackmagic Design resellers worldwide.